Already presented as a preview at the Prolight + Sound convention in Frankfurt last April, a completely new series of Multi-Channel Stations is being released by Green-GO this summer. The new series consists of a 19″ rack version (Multi-Channel Rack Station / GGO-MCX) and a desktop version (Multi-Channel Desk Station / GGO-MCXD). The Multi-Channel Stations provide direct access to 32 separate users or groups through individual multi-colour push buttons. Each button can be assigned to a single user or group and the functionality of the button can be set to ‘Talk’, ‘Listen’, ‘Call’ and ‘Cue’. Three colour TFT touchscreens display the name, volume level and status of the channels. 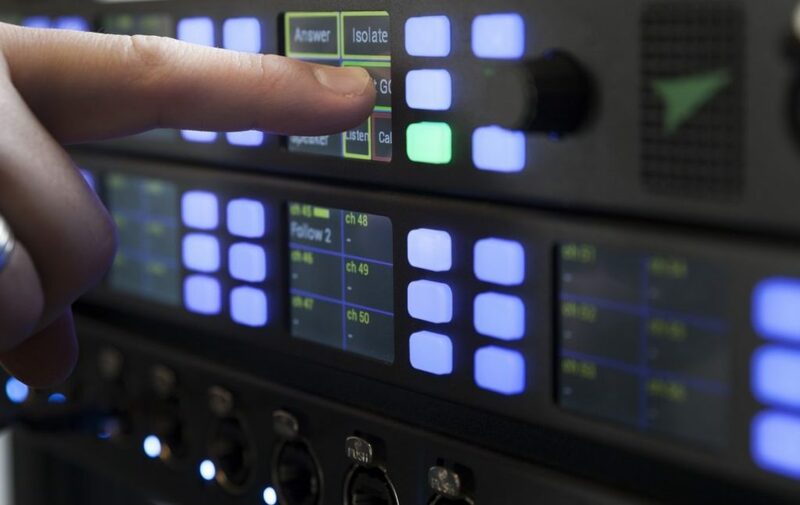 In addition to the Multi-Channel Stations, there will also be extension consoles that can act as a slave to the Stations; the Multi-Channel Rack Station Extension (MCXEXT) and the Multi-Channel Desk Station Extension (MCXDEXT). The master devices can be extended with up to 9 Extension slave devices (in daisy chain layout). For further details and a full list of features please visit the product pages for the Multi-Channel Rack Station (Extension) and the Multi-Channel Desk Station (Extension).